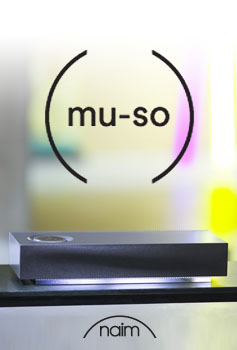 Naim mu-so wireless music system. 450 watts of power. Six custom-designed speakers. Naim Muso is Naim's first wireless music system. Finely tuned by their specialist engineers in England, its powerful audio brain delivers the most exceptional quality in sound, commanding 450 watts of power through six custom-designed speakers to create an experience of music that has to be heard to be believed. Find out more about Naim muso here.